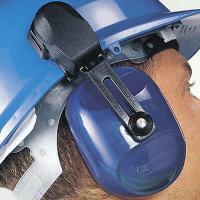 General purpose safety helmet mounted ear muff. Features a lock out facility for parking the muff when not in use. Fits 1100/1125, Reflex and Concept helmets.